Successfully Added Bluetooth Car Kit - Simple Plug + Play to your Shopping Cart. This simple and effective Bluetooth car gadget requires no installation, just simple plug and play. Simply insert it into your car's cigarette lighter outlet, pair it with your phone and then you are good to go. Pairing you cellphone has never been easier. Just hold on to the main button for 5 seconds, turn your mobile phones Bluetooth on, and that's it! You can now enjoy a safe and comfortable drive. Bluetooth technology has helped millions of drivers worldwide in avoiding accidents and collisions. 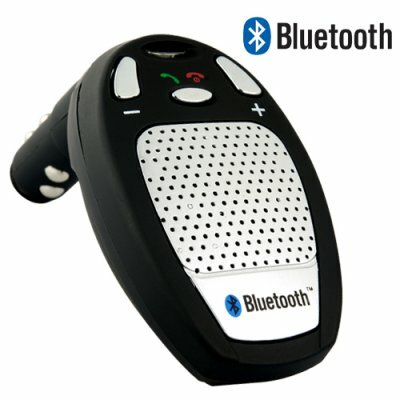 Mobile communication via Bluetooth has become essential to our daily lives, so be safe and productive at the same time by upgrading your in-car calling experience with this great Bluetooth 2.0 device! The CVKD-C33 is the perfect product if it is simple Bluetooth handsfree calling you are after. With this communication accessory you can get all the loud and clear hands-free calling you need. In stock now and available to you at an unbeatable factory direct wholesale price, place your order today and Chinavasion will express ship it out to you tomorrow! My cigarette lighter outlet is located horizontally next to my gear stick, and not on the dash board as normal, will the CVKD- C33 still work? Photography & Graphics By: T.L. Works well! Very happy with the shippment speed.